The site has often explored the stories of American Civil War pensioners who returned to Ireland, and their dependents (see for example here, here and here). I usually carry out this research by looking through pension files to assess who was claiming from Ireland. 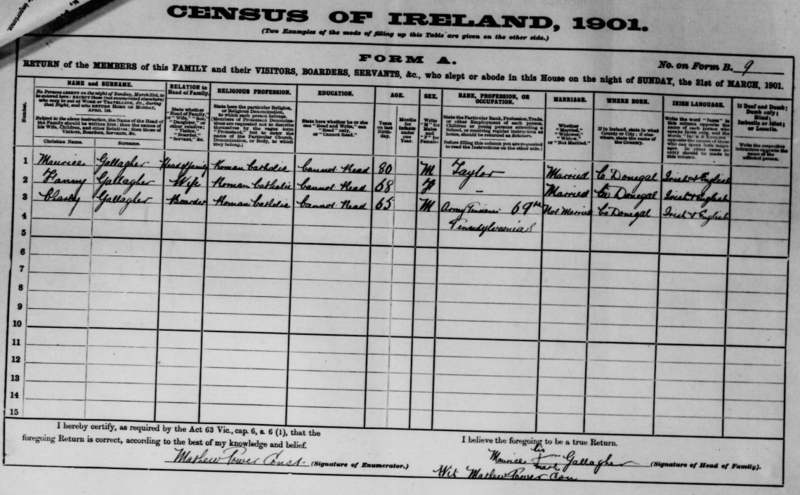 But another means of uncovering some of these individuals is to examine the 1901 Census of Ireland. It is intriguing to consider that at the turn of the 20th century, veterans of battlefields like Gettysburg and Chickamauga could be found in counties throughout the island. I decided to conduct an extensive search of the 1901 Census to try and identify more of them, with the results made available below. Many American pensioners in Ireland (though by no means all) chose to identify themselves to the 1901 enumerators as being either veterans or in receipt of U.S. monies. The information was typically recorded under the ‘Occupation’ heading. 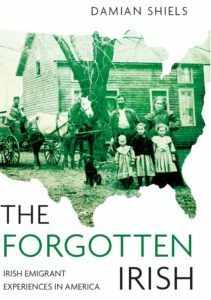 The 1901 Census records large numbers of former emigrants who had at one time lived in America, but had returned home. They were most commonly classified as a “Returned American,” but occasionally additional detail was provided. For example 60-year-old Farrel Reilly, living in Dromcrow, Drumcarbon, Co. Cavan in 1901, noted that he was a “Miner, California U.S.A. (Returned American)“. Military service, or receiving a pension for military service, was also occasionally recorded. 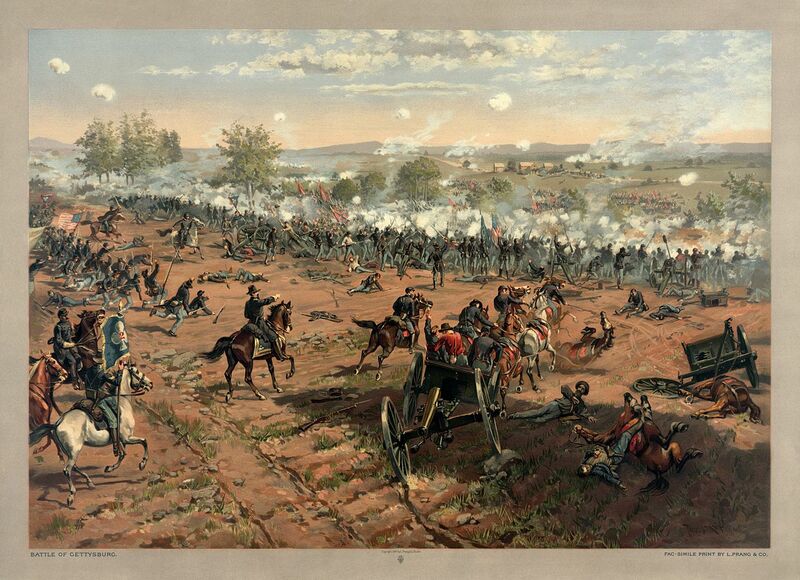 Although some were for men or dependents connected to late 19th century service in the U.S. armed forces, most were of those who had seen Civil War service. A full list, divided by county, of those I have so far identified follows below. Where I have been able to add some additional information on their service I have done so. If you come across any further individuals in the 1901 Census who should be added to this list please pass on the details. William Darragh, Fenagh, Galgorm, Co Antrim, 60-year-old Presbyterian, Occupation: “American Pensioner.” He may be the William Darragh who received a pension (Certificate 522308) for service in Company K of the 96th Pennsylvania Infantry, having been discharged on a surgeon’s certificate on 18th September 1862. Peter O’Connor, Tannyoky, Poyntzpass, Co. Armagh, 74-year-old Roman Catholic, Occupation: “American Pension”. Bernard O’Neill, Creggan Street, Crossmaglen, Co. Armagh, 66-year-old Roman Catholic, Occupation: “Pensioner from American Army”. Philip Kelly, Treehoo, Drumcarn, Co. Cavan, 60-year-old Roman Catholic, Occupation: “American Pensioner”. David Scanlan, Moyarta West, Co. Clare, 66-year-old Roman Catholic, Occupation: “American Army Pensioner 4th Bgd Royal Artillery.” He served in Battery A of the 3rd United States Artillery (Pension Certificate 451253). He enlisted on 27th July 1860 in San Francisco where he was working as a laborer, and served through until 27 July 1865 when he was discharged at Albuquerque, New Mexico, where his unit had spent the majority of their service. Mitchel B. Drew, Georges Street, Centre Ward, Cork, Co. Cork, 53-year-old Roman Catholic, Occupation: “Pensioner U.S. Navy)”, from Co. Clare. John Fleming, Canal Street, Mallow, Co. Cork, 63-year-old Roman Catholic, Occupation: “American Army Pensioner”. Daniel Harnett, Dooneens, Drishane, Co. Cork, 50-year-old Roman Catholic, Occupation: “Late Soldier U.S. Army”. Patrick Harrington, Lickbarrahane, Kilnamanagh, Co. Cork, 39-year-old Roman Catholic, Occupation: “US Army Pensioner.” May be the Patrick Harrington who served in Company A of the 3rd United States Infantry and Company H of the 14th United States Infantry (Pension Certificate 949890). Denis Hickey, Knockaroura, Mallow, Co. Cork, 50-year-old Roman Catholic, Occupation: “Pensioner English & American Army”. May be the Denis Hickey who served as a Landsman aboard the USS Savannah and other vessels from 1863-1864 (Naval Certificate 27611). Frederick McMillan, Anglesea Street, Cork, Co. Cork, 33-year-old Roman Catholic, Occupation: “American Army Pensioner” from Co. Limerick. Enlisted 11th November 1891 while working as a laborer in Chicago. Served in Company C of the 18th United States Infantry and was discharged on 10th November 1896 at Fort Sam Houston in Texas following the expiration of his term. Laurence Molony, Cove Street, Cork, Co. Cork, 52-year-old Roman Catholic, Occupation: “Ex US Army”. May be the Laurence Molony who enlisted in Boston on 23rd October 1878 in Company g of the 2nd United States Infantry. He worked as a tailor before joining up. 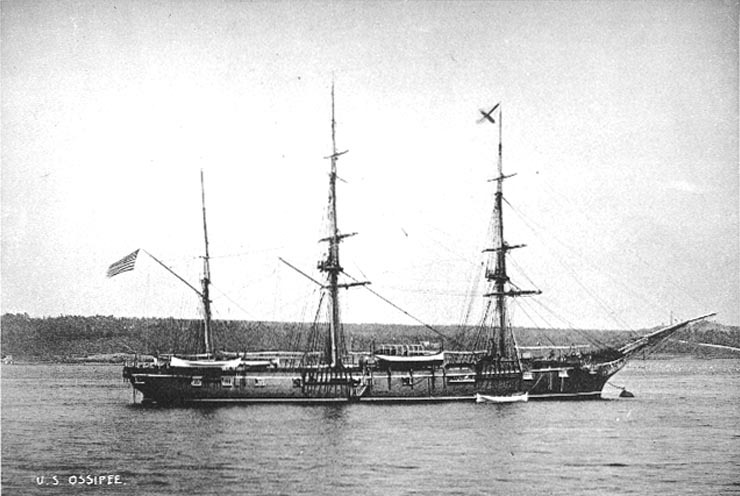 He was discharged on 22nd October 1883 at Fort Spokane, Washington State. John Nolan, Coronea, Clarkes Lane, Skibbereen, Co. Cork, 60-year-old Roman Catholic, Occupation: “Pensioner of United States Army Service”. William O’Brien, South Terrace, Cork, Co. Cork, 71-year-old Roman Catholic, Occupation: “Major American Army”. David Sliney, Ballintemple, Dooneenmacotter, Co. Cork, 33-year-old Roman Catholic, Occupation: “Retired American Naval Sailor”. David (Naval Certificate 25244) served as a First Class Fireman aboard USS Vermont, St. Louis, Caleb Cushing, Bennington and Columbia between 5th February 1891 and 7th November 1896. He was from Ballyandreen near Ballycotton in Co. Cork. Hugh Boyle, Ballymagroarty, Lower Liberties, Co. Derry, 50-year-old Roman Catholic, Occupation: “American Army Pensioner” from Co. Donegal. Edward Matthews, Foyle Street, Londonderry, Co. Londonderry, 64-year-old Church of Ireland, Occupation: “Seaman A.B. American Naval Pensioner”. Edward (Naval Certificate 24473) served as a Seaman aboard USS Ossipee and served between 1st October 1862 and 5th April 1864. James McCoy, Coleraine Street, Kilrea, Co. Derry, 73-year-old Roman Catholic, Occupation: “Pension from American Army”. Michael Buirds, Church Street, Ramelton, Co. Donegal, 60-year-old Roman Catholic, Occupation: “Pensioner American Army”. Michael (Certificate 84921) was a 23-year-old laborer when he enlisted in Company G of the 161st New York Infantry on 6th September 1864. He was absent sick in hospital in Philadelphia from late February 1865 and was still in hospital when his company mustered out. His pension noted that he had suffered a total loss of sight. Hugh Dorrian, Drumbeagh, Killybegs, Co. Donegal, 70-year-old Roman Catholic, Occupation: “Naval Pensioner American Navy”. Charly Gallagher, Glenineeny, Glen, Co. Donegal, 65-year-old Roman Catholic, Occupation: “Army Pension 69th Pennsylvania I”. Enlisted on 31st August 1861 in Company E of the 69th Pennsylvania Infantry. Also saw service in Company H of the 18th United States Infantry, Company K of the 25th United States Infantry, Company K 16th United States Infantry and Batteries H & G of the 1st Pennsylvania Light Artillery (transferring to them in 1864). James McLarkey, Glengad, Carthage, Co. Donegal, 57-year-old Roman Catholic, Occupation: “Pensioner (U.S. Navy)”. Mary Jane Hazlette, Rosscreenagh, Brookhill, Co. Fermanagh, 76-year-old Wesleyan Methodist, Occupation: “Pension from the American Government”. Daniel Callaghan, Knockardtry, Crinny, Co. Kerry, 74-year-old Roman Catholic, Occupation: “American Army Pensioner”. Pension certificate 786221. Served in the Ordnance Detachment of the U.S. Army. Daniel Connor, Knockeen, Castleisland, Co. Kerry, 76-year-old Roman Catholic, Occupation: “Pensioner American Army”. Thomas Fitzgerald, Acres, Ballynacourty, Co. Kerry, 70-year-old Roman Catholic, Occupation: “American Army Pensioner”. William Murphy, Clievraght, Listowel, Co. Kerry, 75-year-old Roman Catholic, Occupation: “Pensioner from the American Army”. Likely the William Murphy that served in Company G of the 23rd Kentucky Infantry (Certificate 1015966). John Robinson, Drogheda Row, Monasterevan, Co. Kildare, 57-year-old Roman Catholic, Occupation: “Pensioner from the United States American Army”. William Booden, Derrinsallagh, Borris-in-Ossory, Co. Laois, 70-year-old Roman Catholic, Occupation: “United States Army Pensioner”. May be the William Booden (Certificate 443940) who served in Company A of the 48th Massachusetts Infantry. May have returned to the United States. John McGlean, Knockacullion, Stralongford, Co. Leitrim, 72-year-old Roman Catholic, Occupation: “A Pensioner from the American Army”. Michael Dore, Ballynacragga North, Shanagolden, Co. Limerick, 65-year-old Roman Catholic, Occupation: “Pensioner from American Army”. Maurice McAuliffe, Ardagh, Co. Limerick, 73-year-old Roman Catholic, Occupation: “Pensioner United States Army”. John Barker, Henry Street, Castleblayney, Co. Monaghan, 56-year-old Roman Catholic, Occupation: “U.S. Pensioner (American Army)”. Served in Companies D and H of the 2nd Connecticut Infantry and Company A of the 12th Connecticut Infantry (Certificate 921301). John Carroll, Rockforest, Timoney, Co. Tipperary, 37-year-old Roman Catholic, Occupation: “Retired American Soldier. No Profession Presently”. Sarah Conlan, Donaghmore, Co. Tyrone, 52-year-old Roman Catholic, Occupation: “U.S.A. Army Pensioner”. Michael Cullinane, Manor Street, Waterford, Co. Waterford, 55-year-old Roman Catholic, Occupation: “American Army Pensioner”. Richard Fitzgerald, Ballynaparka, Keereen, Co. Waterford, 70-year-old Roman Catholic, Occupation: “American Navy Pensioner”. Letitia Keating, Emmet Place, Waterford, Co. Waterford, 44-year-old Roman Catholic, Occupation: “Pension of U.S.A.”, from Carrick-on-Suir, Co. Tipperary. Patrick A Doyle, Michael Street, New Ross, Co. Wexford, 60-year-old Roman Catholic, Occupation: “Retired from American Army”. Likely the Patrick A. Doyle who served in Company B of the 17th Wisconsin Infantry (Certificate 1073996). "Our Ironclads on the James River": The Collected Correspondence of "Garryowen"
Wow, Damian. Never occurred to me that there would be details such as these in the 1901 Census. Fantastic stuff. Thanks John- a post I had been meaning to write for a while!